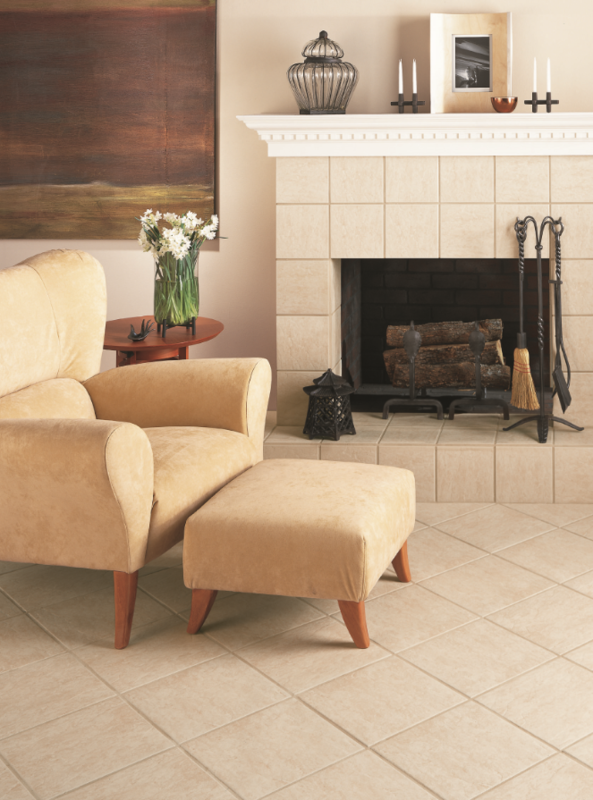 Ceramic tile surfaces can help accent your home with vivid colors and extraordinary designs. With its timeless beauty and long-wearing durability, ceramic tile offers a unique look that is practical as well as personal. Made from a mixture of clay, sand and other natural materials that have been shaped and baked at a high temperature, the tiles can be left untreated or glazed to add color and design. Ceramic tile is available in a vast number of colors, shapes, sizes, finishes and textures, making it a popular choice of flooring. In addition, ceramic tile is perfect for kitchens and baths where moisture resistance and easy maintenance are important.